India Tools & Instruments Co. is a renowned brand in the industrial sector; we are the leading Precision Measuring Tools And Instruments Manufacturers, known for our quality and affordable price. 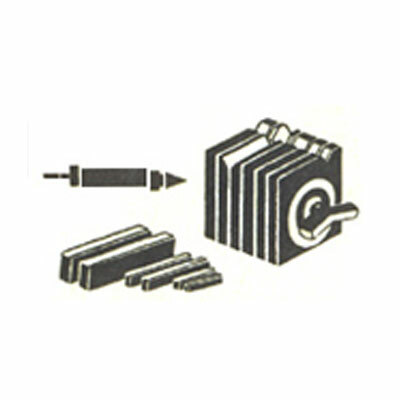 We offer a wide range of products for various industrial needs. Our team ensures to attain the maximum client satisfaction and for this we focus on providing the high quality, and technology-based products for best possible output. Our products are laboratory tested to maintain the high standards of our company. We constantly focus on the updating trends in the market, to meet the client need. Our Measuring Tools and Measuring Instruments have made with advanced technology to give you the best results. Our after sale services make us different and highly recommended company. To know more about our product range and price you can drop us an email. We are engaged in offering tools & instruments like Shop Aids, measuring and gauging equipment, optical measuring instrument, scientific and laboratory apparatus, testing apparatus, micrometer, vernier caliper, dial test indicator, dial thickness gage, gage block, electric gages contractor, toolmakers microscope profile projector, coordinate measuring machine linear scale and shop aids. Our range of work holding includes sine plate, angle vise, precision machine vise, angle plate, sine bar, v-block, sine angle base and bench center. We are engaged in offering measuring and gaging equipment like precision level, surface roughness gauge, pin gauge, taper gauge, surface gauge, hole gauge, caliper gauge, tension gauge, plug and ring gauge, ball gauge, surface plate, angle block & lenght bar. We are angaged in offering testing apparatus that includes tensile testing machine, electronic spring tester, portable hardness tester, rubber hardness tester, rockwell hardness tester and rubber tensile tester. We are engaged in offering optical measuring instrument that includes stereoscopic microscope, measuring microscope, mettalurgical microscope, zoom stereo microscope, centering microscope, workshop microscope and light illuminator. We are engaged in offering scientific and laboratory apparatus like thermometer, weighting and counting balance, thermo-hygro graph, digital technometer, ultrasonic thickness indicator, autocollimator, digital vibration meter, ph meter, coating thickness meter.